56 years, 8 months, 10 days old age. Anita Raj will turn 57 on 13 August, 2019. Only 3 months, 20 days, 20 hours, 23 minutes has left for her next birthday. Anita Raj has celebrated the total number of 56 birthdays till date. See the analysis by days count and bar graph. Anita Raj born on 13th August 1962 in Mumbai, Maharashtra, is an Indian film actress. She is known for her role in Zara Si Zindagi and Prem Geet. Anita Raj debuted as an actress in a Bollywood movie called “Prem Geet” starring opposite Raj Babbar which was released in 1981. She won the heart of audiences by her overwhelming performance in the movie. After her noted performances, she got recognized by industry giants and they signed her for movies like Mohabbat Ki Kasam, Zara Si Zindagi, Satyamev Jayate, Ghar Ghar Ki Kahani, Shiv Shakti, and Jurrat among various others. Apart from working in movies she was also a part of TV industry and featured in serials like Aashiqui, Eena Meena Deeka, 24 and many more. She was daughter of Veteran Bollywood actor Jagdish Raj. She had a sister named Roopa Malhotra and a brother named Bobby Raaj. Anita tied knot with Sunil Hingorani in 1986 in a not so high profile Ceremony in Mumbai. The couple was blessed with one son named Shivam Hingorani. 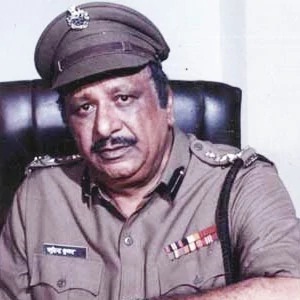 Anita Raj was born to actor Jagdish Raj. She has a brother named Bobby Raaj and a sister named Roopa Malhotra. She is married to Indian film director Sunil Hingorani and has a son named Shivam Hingorani. Actress Malvika Raaj is her Niece.